Dear Sharon, Brett and the team. I just wanted to say a huge thank you all for really going above and beyond with our new scaffolding stickers. Sharon all the time & effort you put into matching the colours for me was incredible, and the stickers look great – quality is outstanding! You have all been an absolute pleasure to deal with, I look forward to working with you all again in the future. Brett and the team do a great job in servicing our signage needs. 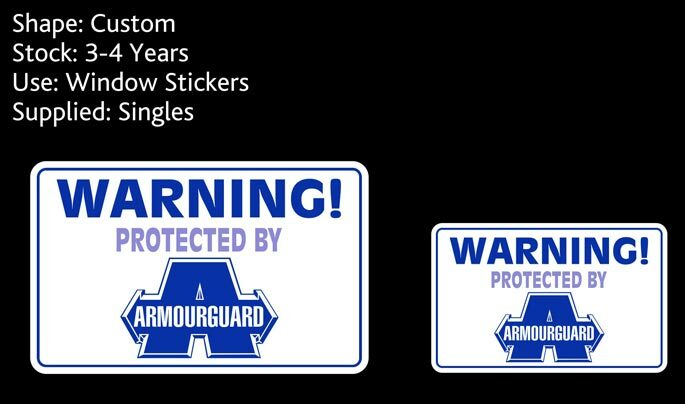 Stickers are excellent quality and supply is always in a timely manner to meet deadlines. Highly recommended! Econohire has used Sticky Stickers for eight years to design and produce all our company artwork. 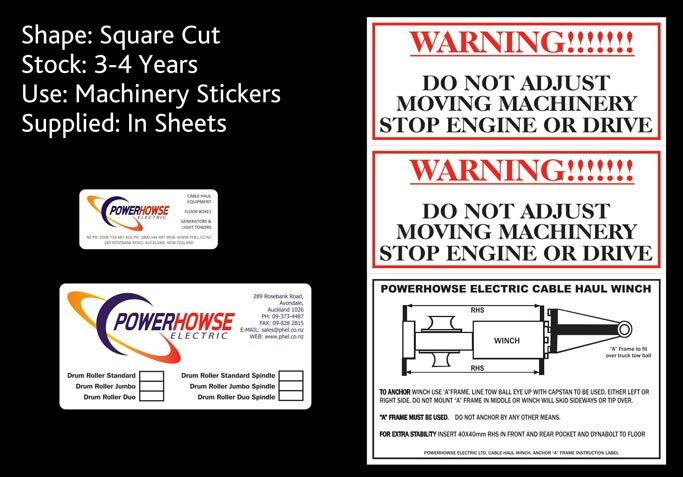 This included product stickers and labels plus company logo for machinery, health and safety stick on warning signs and all vehicle advertising. The Sticky Stickers team have always given highly professional, friendly service and advice and I do not hesitate to recommend their expertise when it comes to producing company stickers and labels. 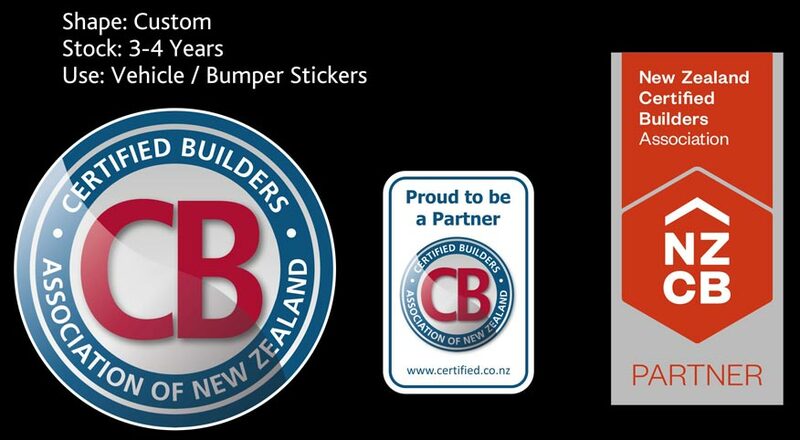 Brett and the team at Sticky Stickers consistently produce high quality stickers for New Zealand Certified Builders. Sticky Stickers have great communication skills and work closely with us to get the product exactly right – first time. They’re a friendly, down to earth team and nothing is too hard for them! We’ve had some challenging jobs over the years and they’ve worked with us time and time again to produce a perfect end product. They will openly discuss their printing recommendations with us and go into further detail if required. 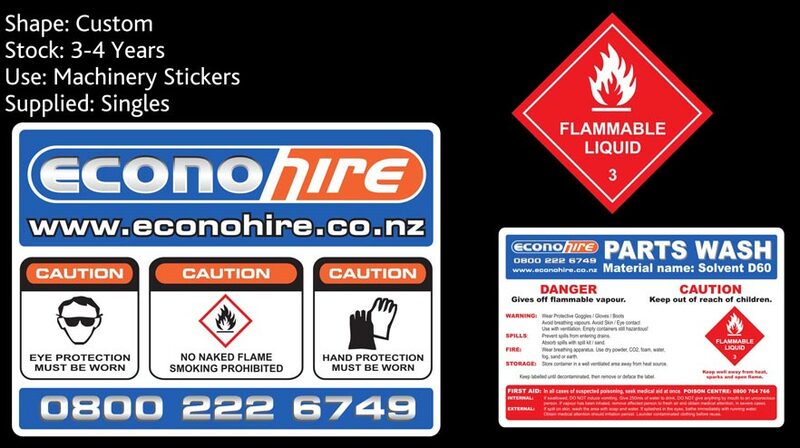 New Zealand Certified Builders would highly recommend Sticky Stickers to any potential clients looking for high quality, professional sticker production. Rest assured – you’ll be in good hands. Sticky Stickers have been looking after our label requirements for over 10 years. No job is too difficult for them and they always go the extra mile for us. Our labels are always of the highest quality and delivery time for an order is also good. Their expertise in the different label stocks available is great and we rely on their knowledge to work out which label is best to use on the different product materials we use. 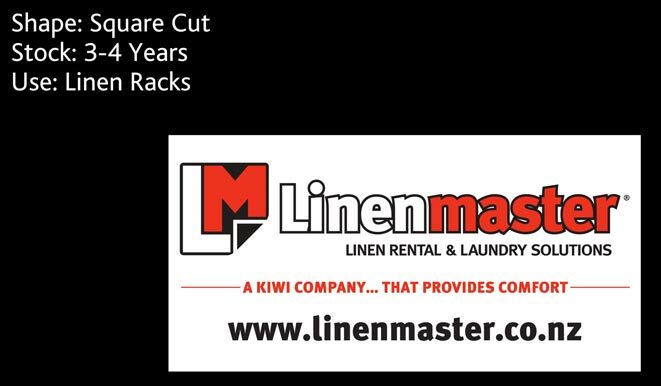 Linen Master – Tauranga Commercial Laundry has used Sticky Stickers for advertising/branding stickers and signage since 2012. We will continue to use Sticky Stickers because they have provided long lasting, colour fast stickers that match our branding. Proofs have been checked by us and all stickers have been provided within time frames agreed. 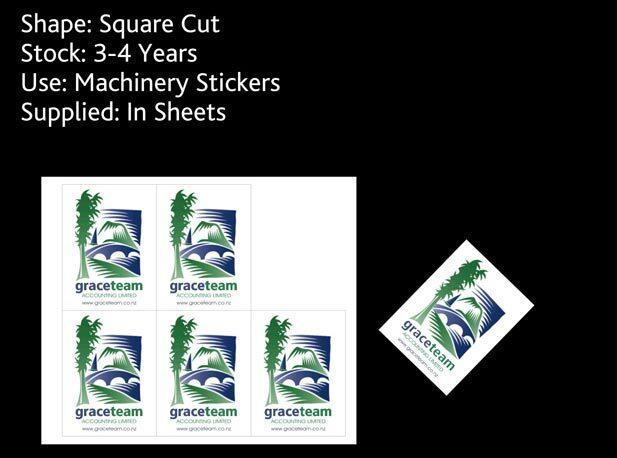 We have no hesitation in recommending Sticky Stickers for high quality stickers. 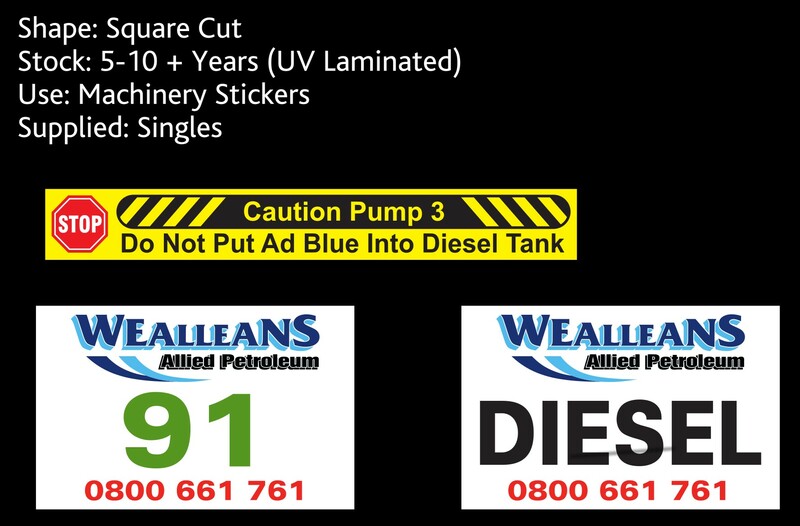 Thank you for the supply of our last order of Stickers for our customers farm fuel tanks. Our reps report that the stickability is excellent and the colours match industry standard for fuel identification. Thanks for the prompt supply for such a large quantity.